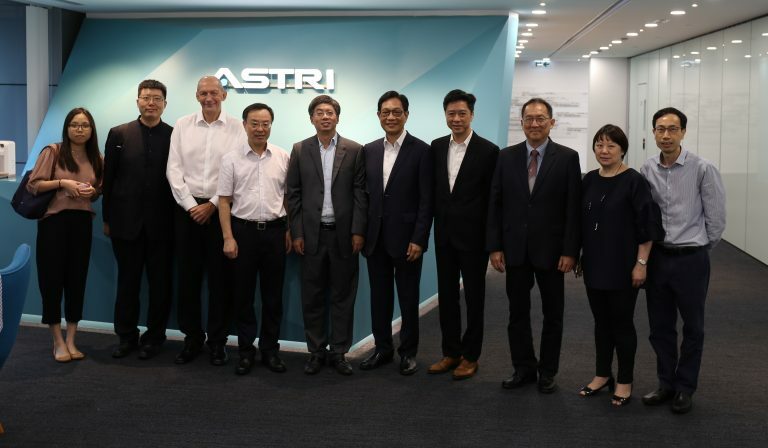 Led by Mr Chen Linhao (5th from left), PPSTI Vice Chair, DDG of International Cooperation, Ministry of Science and Technology, the delegation of APEC Policy Partnership on Science, Technology and Innovation (PPSTI) China visited ASTRI on 18 September 2017. 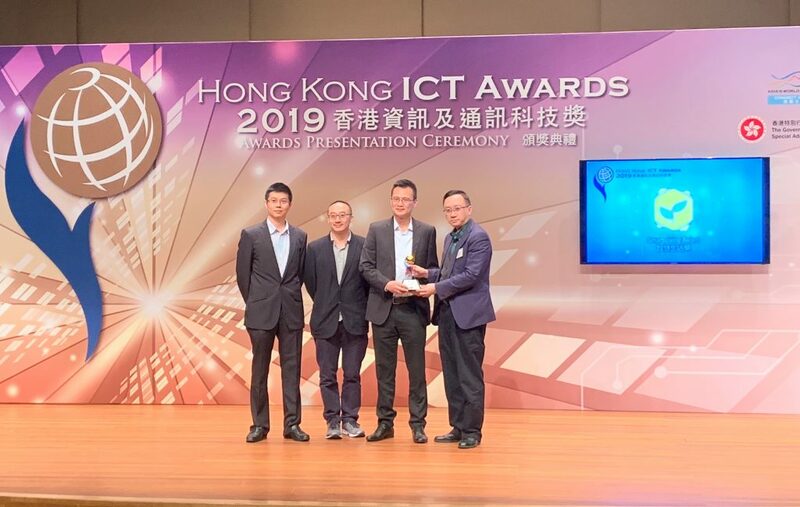 From ASTRI, Mr Wong Ming-yam (5th from right), Chairman; Dr Meikei Ieong (4th from right), CTO; Ms Cammy Yung (2nd from right), CFO; Dr Justin Chuang (3rd from right), Vice President, Next Generation Network; and Mr Bill Zhang (1st from right), Senior Director, Mixed Signal Systems IC welcomed the delegates. 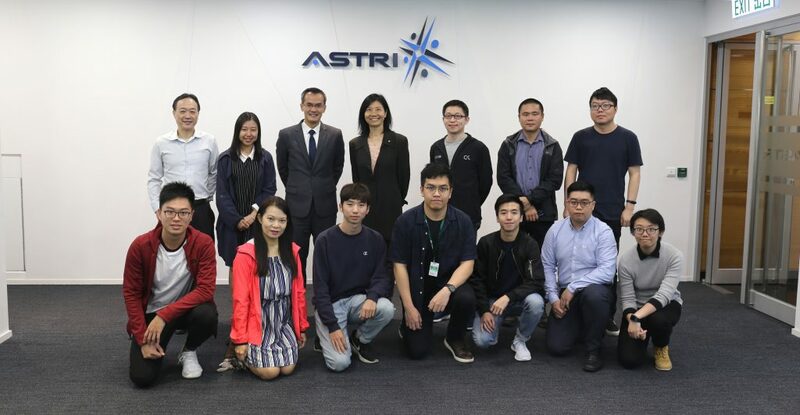 They learned more about the latest R&D development on artificial intelligence, health technologies, intelligent manufacturing, big data analytics and blockchain of ASTRI. 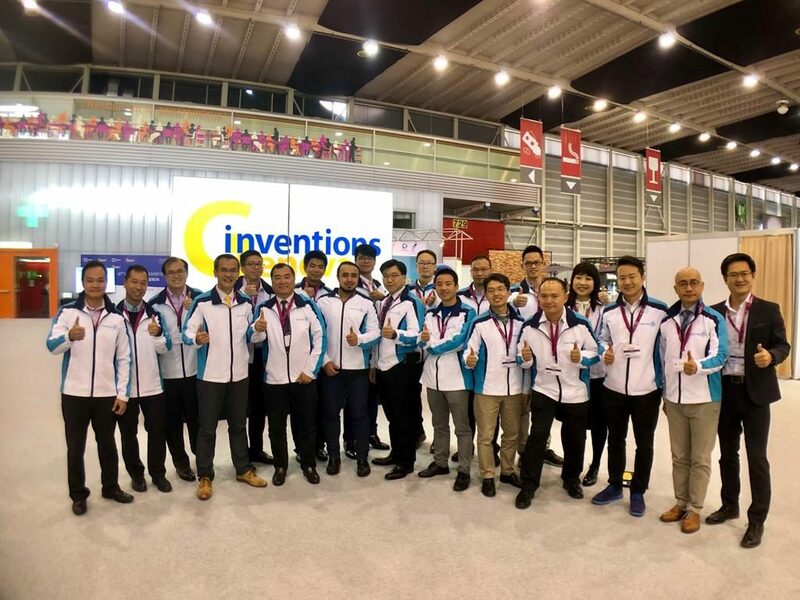 The delegation also learned our National Engineering Research Centre for Application Specific Integrated Circuit System (Hong Kong Branch) which focuses on microelectronics and integrated circuits (IC) and systems, conducting research, technology transfer, and talent training in the fields of mixed signal systems IC, advanced digital systems and packaging. 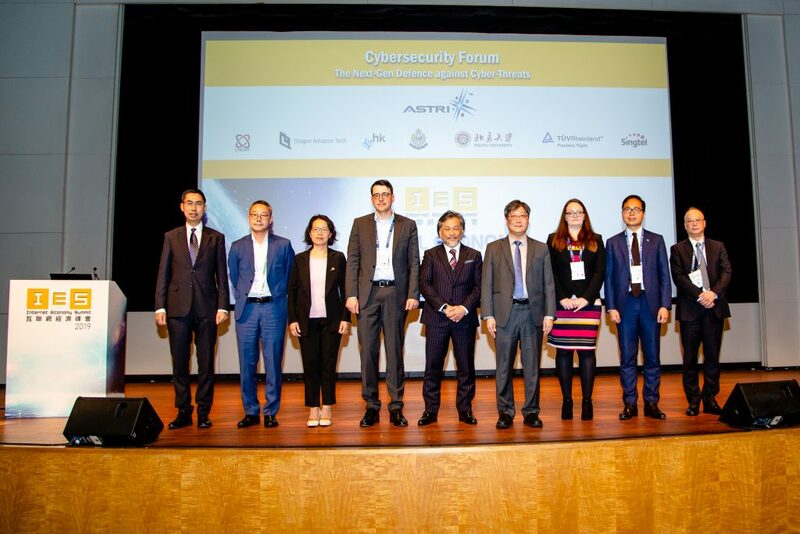 After the presentation, the guests visited Cyber Range – Hong Kong’s first laboratory equipped to monitor and simulate cyber-attacks and witnessed live demonstrations on Cellular-Vehicle-to-Everything (C-V2X) technologies, Head-up Display (HUD) and blockchain in our newly developed Smart City Innovation Centre.